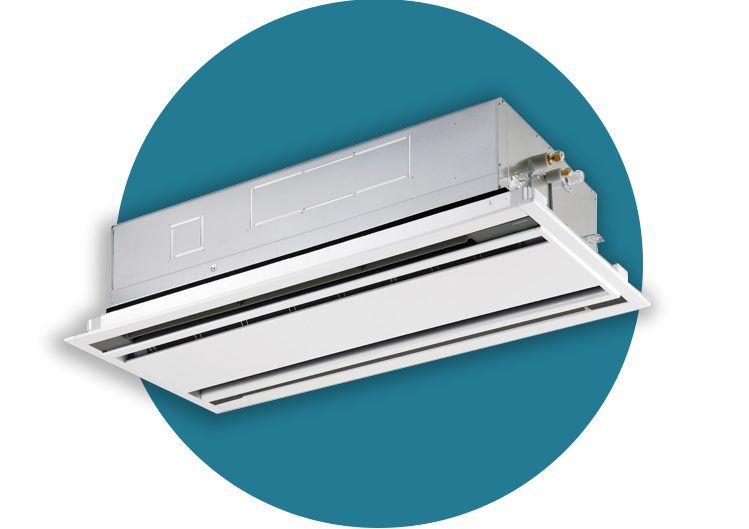 Toshiba’s discreet ceiling cassette AC systems are suitable for use in wide range of applications such as shops, restaurants and small offices. With a stylish appearance, the Ceiling Cassette System fits with interiors where design is as important as functionality. Cassette air conditioners suit all standard ceilings and have been designed for simple and easy installation and maintenance since the electrical box is located inside the unit. Compact and with the ability to fit perfectly into ceilings while matching architectural modules the cassette ceiling air conditioner range by Toshiba will provide excellent energy efficiency and reliable functionality. The panel is attached using the bolt that is already installed on the indoor unit. The angles of each of the four louvres can be set individually. Enables airflow to be chosen according to user preferences.